The link between the two teams is palpable. They are each arguably the most successful clubs in their own countries, and the presence of world-record signing Cristiano Ronaldo in the Madrid team will provide a bit of extra emotional edge when he returns to Old Trafford on 5 March for the first time since his transfer in July 2009. With all the recent history between them – the transfers of Beckham, Van Nistelrooy, Heinze and Cristiano Ronaldo, and the classic encounter in the 2002–03 Champions League quarter-finals (remember Brazilian Ronaldo's hat-trick and that trademark Beckham free kick?) – you could be forgiven for believing that the relationship between the two teams is a modern phenomenon. In fact, it goes much further back than that. After his appointment as manager in 1945, Matt Busby set about reshaping the culture of Manchester United, placing much more emphasis on youth players. That emphasis and trust ended the club's yo-yo period from before the Second World War and Busby delivered a First Division title and four second-place finishes in his first six years there, and another two titles in 1956 and 1957. The 1956 title made United the first English club to enter the newly founded European Cup, and also put Busby firmly on the radar of Real Madrid president Santiago Bernabéu. Bernabéu believed that Busby could do the same for his club as he had in Manchester and approached the Scot in 1956 with a view to him replacing then-manager José Villalonga. The Madrid president was willing to give anything to bring Busby on board, reportedly telling him, "Leave Manchester for Madrid and I will give you a paradise." However, Busby turned down the offer from the first ever champions of Europe, replying with a now-famous phrase: "My heaven is in Manchester". Nevertheless, the two became firm friends. Later that season, United and Real met for the first time in competitive matches – the first of four European Cup ties between the two. Upon their arrival in Madrid, the United players were treated like celebrities, but their performance was unable to live up to expectations, losing 3–1. Despite pulling off a 2–2 draw back at Old Trafford, United lost 5–3 on aggregate. A year later, Manchester United suffered the greatest tragedy in their history, when eight players and a number of others were killed in the Munich air disaster. The team was decimated and struggled to complete the season. In order to raise funds for the rebuilding of the club, Matt Busby contacted his friend, Santiago Bernabéu, to arrange a friendly match. Although he had been put out by Busby's refusal of his job offer, Bernabéu agreed to the match, which was eventually played in 1959. The teams finally met again in the semi-finals of the 1967–68 European Cup. After 10 long years, Busby's team was on the brink of the European Cup final again, with only the six-time winners standing in their way. George Best gave United the advantage in the first leg at Old Trafford, leaving the Red Devils with the task of going to the Santiago Bernabéu Stadium and avoiding defeat. United quickly went 2–0 down and behind on aggregate, but an own goal from Ignacio Zoco gave them hope. Even a third goal from Amancio did little to dampen that hope, and Busby encouraged his players to throw everything at Madrid. Then two goals came from the most unlikely sources: first David Sadler, who often played as a defender but had been asked to play up front, put the ball in the net, and then – of all people – defensive stalwart Bill Foulkes found himself on the end of a Best cutback to put United into the final. A fortnight later, United beat Benfica 4–1 at Wembley to give them their first European Cup title. It was no comparison to Real Madrid's six, but nevertheless, it put the two sides in an exclusive group known as 'European champions'. It was 32 years before United and Real met again in a competitive match, with United as Champions League title holders standing in the way of Real on their way to their eighth, but those few matches between the two in the 1950s and '60s created a bond between the two that is unlikely to be broken. That bond has been made stronger with their meeting in this year's Champions League, and with José Mourinho's announcement that his next managerial role likely lies in England – who knows? 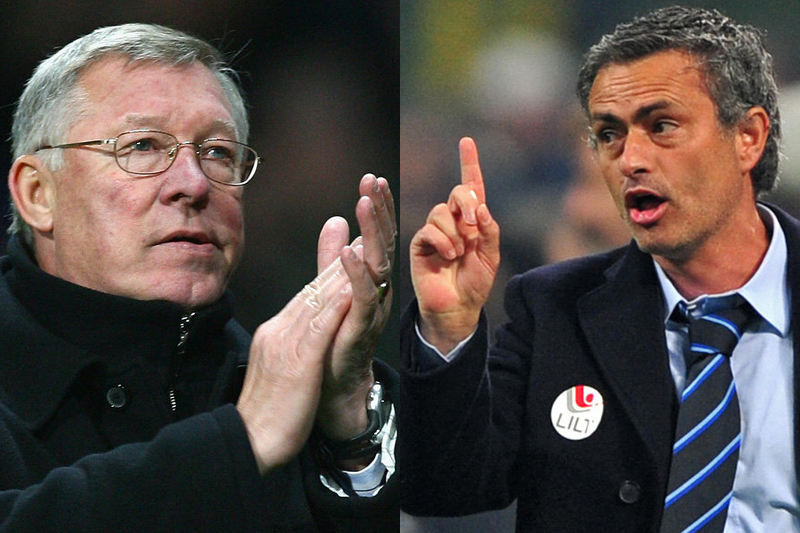 – it could be made stronger yet when Sir Alex Ferguson finally retires.